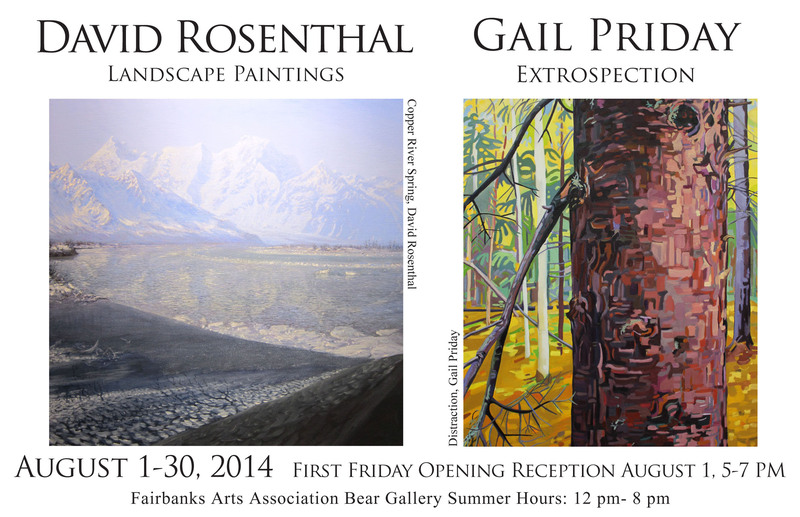 If you come to the Bear Gallery in August you will find a wonderful exhibit featuring works by two artists who depict Alaska and its beauty in very different ways. Paintings by David Rosenthal and paintings and prints by Gail Priday will be on view in the Bear Gallery from August 1-30. Stop by on First Friday from 5-7 PM to meet the artists Gail Priday of Fairbanks and David Rosenthal of Cordova.